Live television events have become exceedingly popular over the past few years, with the success of specials like NBC's Peter Pan Live!, The Wiz Live! and Fox's Grease: Live, which aired last month. 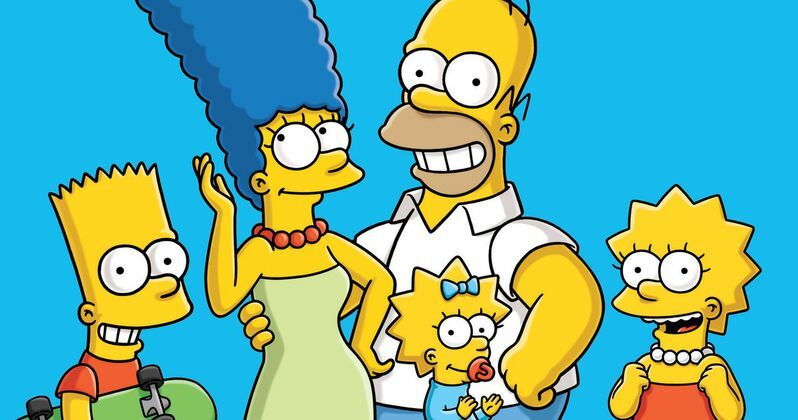 Today, Fox announced yet another live program, with the animated hit The Simpsons airing a live segment during an all new episode on Sunday, May 15. Take a look at the network's official statement below about this special live episode. "After 27 seasons and for the first time ever, Homer Simpson will appear LIVE during an all-new episode of The Simpsons airing Sunday, May 15 at 8/7c on Fox. During the episode, Marge, Lisa and Bart will turn the show over to Homer who will take a break from stuffing his face to comment on the events of the day LIVE during both the East Coast and West Coast broadcasts. Don't Miss this Simpsons first! Never before has Homer addressed his fans LIVE! Fans can tweet their questions using #HomerLive beginning on Sunday, May 1 until Wednesday, May 4." The Simpsons showrunner Al Jean spoke with The Wrap, shedding some new light on this special event. The live segment will take place during the final three minutes of the live episode, using motion-capture technology to animate Homer Simpson voice actor Dan Castellaneta into the episode. The actor will be providing "on-the-fly" voiceover with Al Jean promising to find innovative ways to prove that it's all live. Says Al Jean. "As far as I know, this is the first time that's been done by any animated show. And Dan is a great improviser." Al Jean and the rest of the writers will be at the motion-capture facility with Dan Castellaneta offering any last-minute rewrites, much like an awards show. The show's producers have already worked with Fox Sports, who have already conducted motion-capture tests. Al Jean revealed that their own tests "look great," and they still have just under three months to perfect it. While Homer will be the only character being broadcast live, there will be other characters in the scene as well. The showrunner also added that the Twitter deadline for questions is purely to get permission from Twitter users to use their questions on the air, and not to prepare for Homer's animation. He also laughed off the notion that 80% of the questions may be about Presidential candidate Donald Trump, adding, "I'm sure he'll do something that day." There is also the possibility that, if this experiment works, that Fox could give the green light for a full half-hour live episode. What do you think about The Simpsons going live this May?